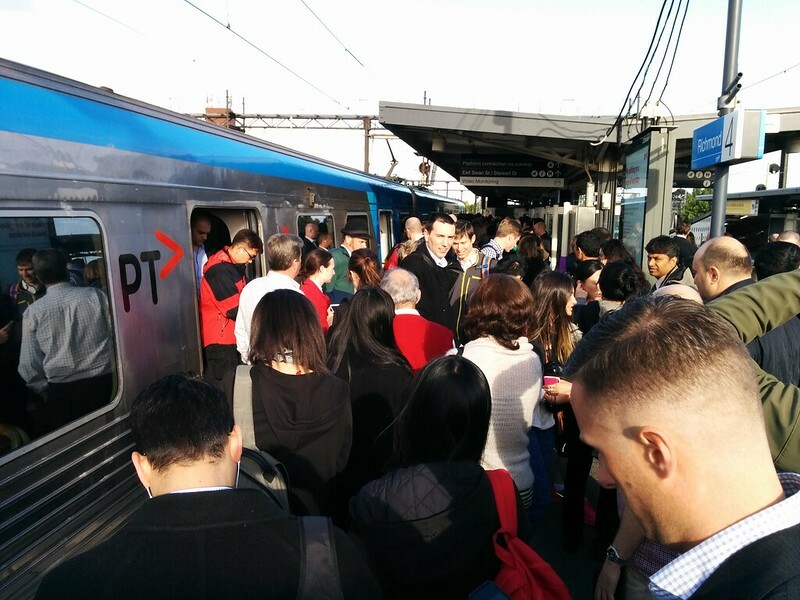 The trains were a real mess last Monday. 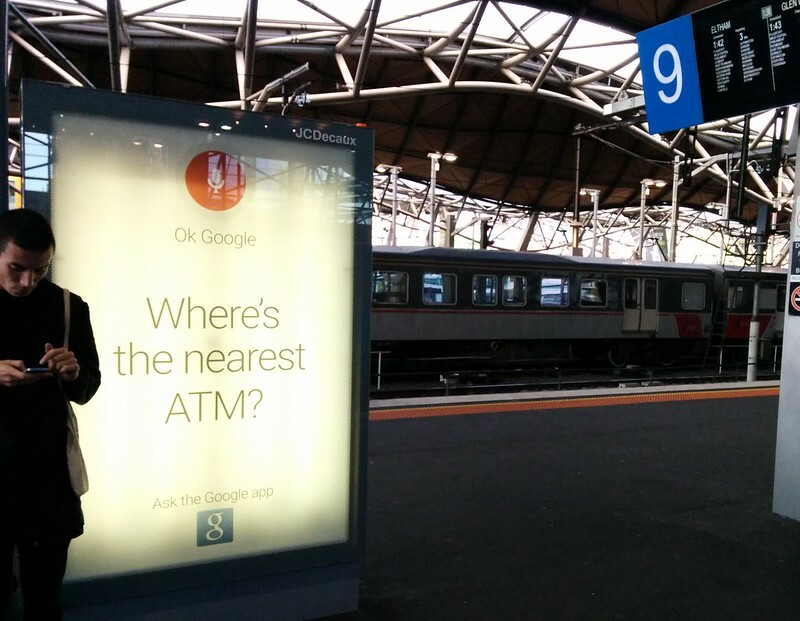 This is the moment we all got kicked off a train at Richmond when it became faulty. The following train was, naturally, even more packed once we all piled in — and diverted to another platform forcing large numbers of people to clog up the subways to change. 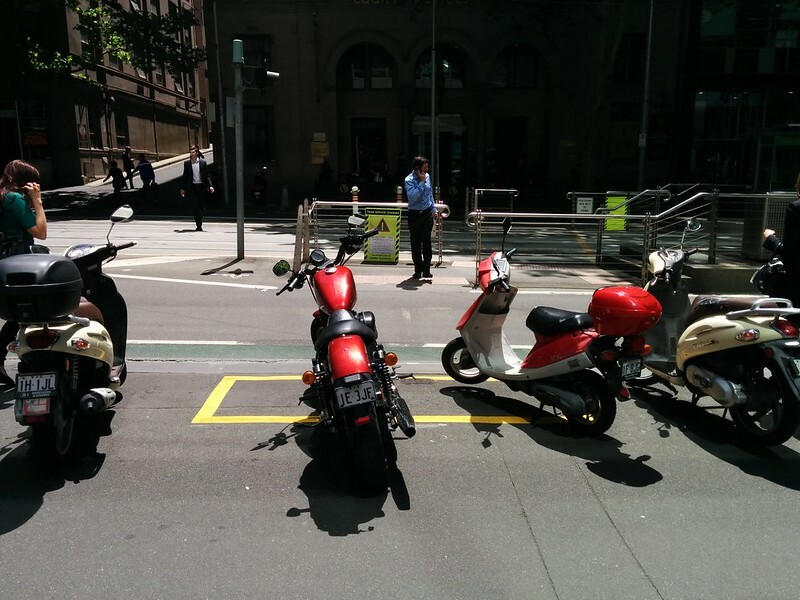 Chuggers on the south-west corner of Bourke and William Streets, in contravention of City of Melbourne regulations. 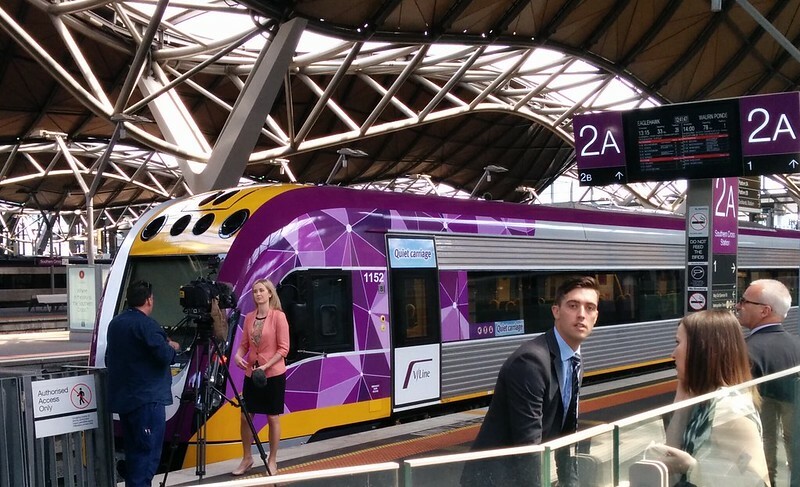 How you can tell public transport is a hot topic: lots of media turn up for the launch of a new V/Line train. Frances Bell from ABC TV is recording her Piece To Camera while Channel 10’s David Woiwod and ABC Radio’s Alison Savage are also present. 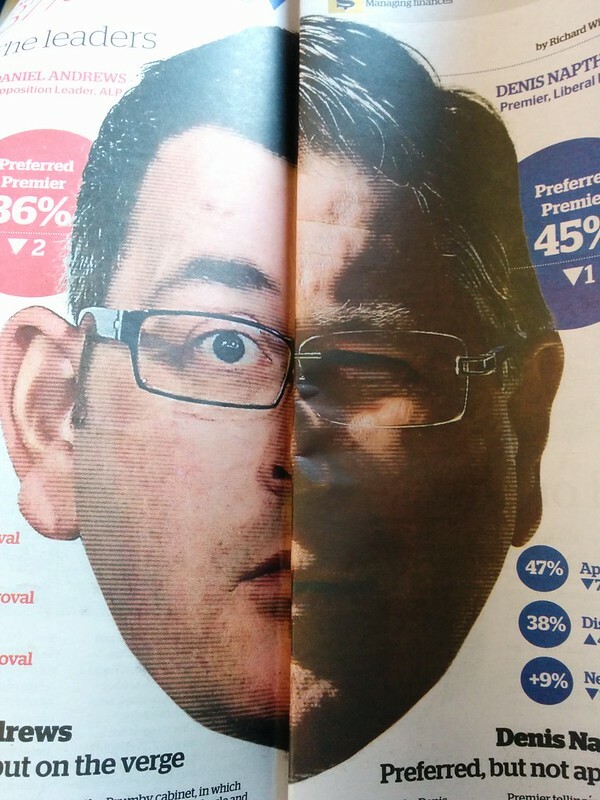 A bit spooky — from The Age on Thursday, a day early for Halloween. 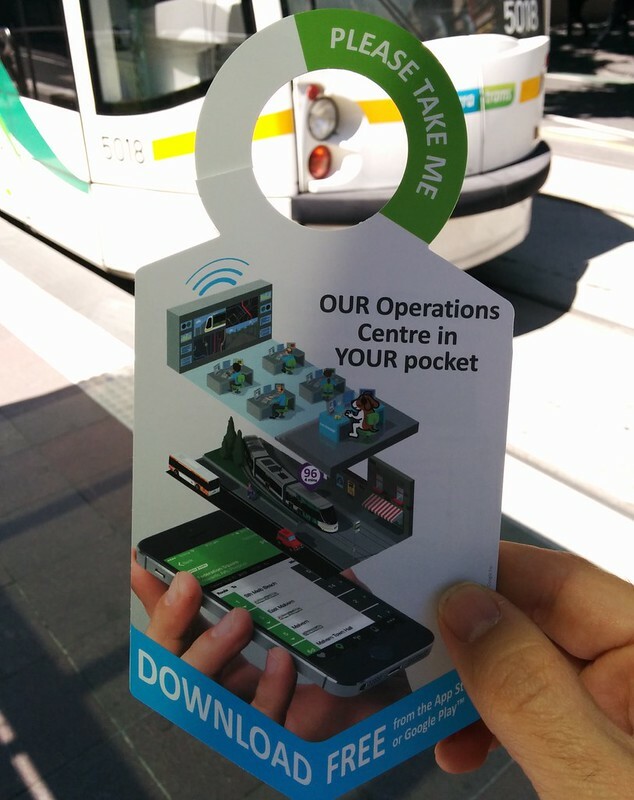 I like this: a promotion for Tram Tracker, the near-real-time (but not quite) app for finding out where your tram is. Yarra Trams’ Operation Centre really does look like that, although there’s never been a giant dog on duty when I’ve gone past. 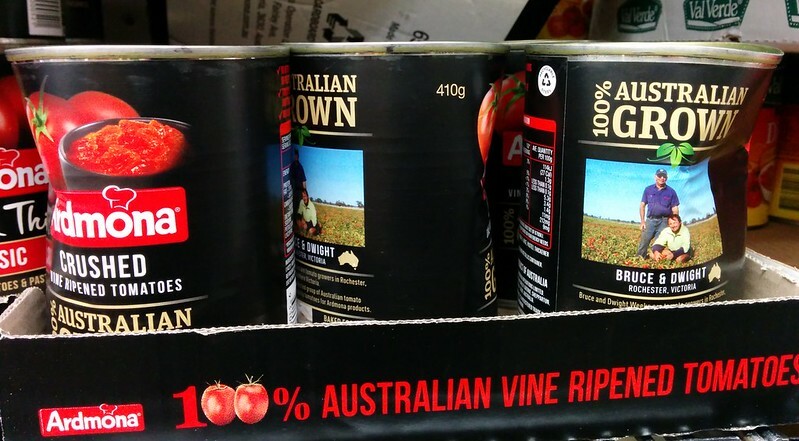 I seriously wonder if SPC Ardmona might sell more Australian-made tinned tomatoes if the tins weren’t always so beat-up. It’s the tomatoes that are meant to be crushed, not the tins. Mind you, I’ve seen some supermarket shoppers literally drop their cans into their trolleys with a crash, without a care for noise or dents. For myself I’d prefer my tin cans to be structurally intact (and stackable). 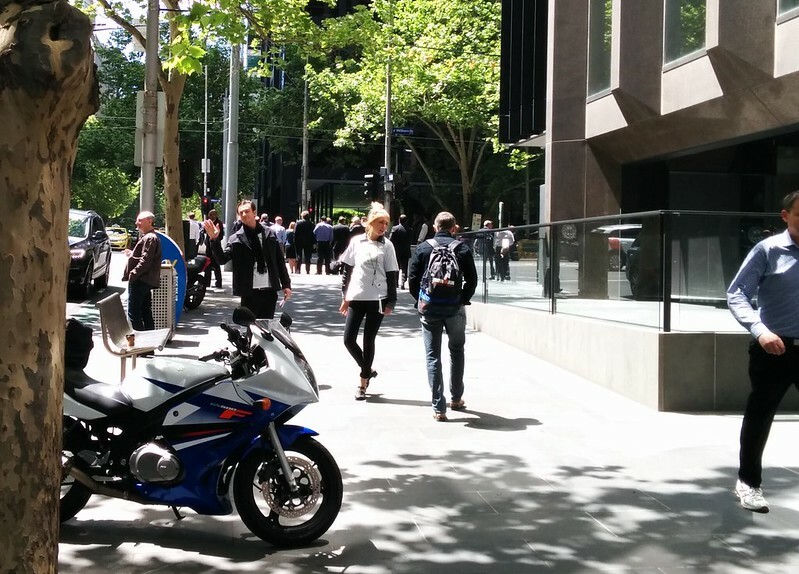 Next → Next post: Quicker to wait for the hourly bus, or walk? 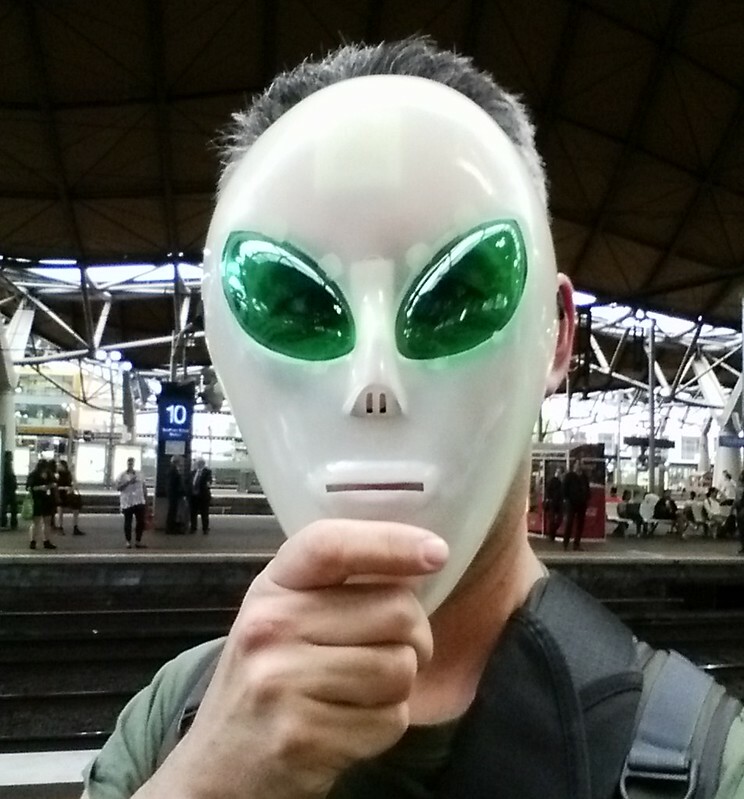 Chuggers inside Moonee Ponds Central this morning. The position themselves well, its impossible to get between major shops and carpark without being Chugged. The city loop station rubbish bins are stacked in pile on one of the empty platforms at Flinders St, don’t have a photo but it is easy to find.